Technics SL1210MK5 Black Turntable DJParts - All Variety of Parts that DJ Needs. The Technics SL-1210MK5 Direct Drive Turntable gives an ultra-cool look to the MK5 series. 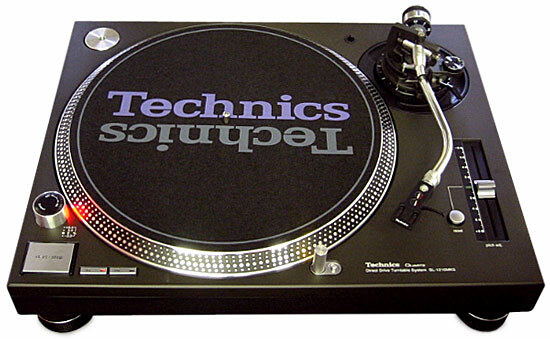 Building on the industry standards set by the SL-1200MK2, the smooth Technics SL-1210MK5 is the black version of the SL1200MK5. It offers a number of groundbreaking features along with the time-tested functions made famous by the original “wheel of steel.” Significant tonearm modifications have greatly reduced skipping and with customizeable braking speeds, you can really fine tune your performance. There is also a Quartz-Lock (zero pitch) button and a selectable pitch range of ±8%. The long-life LED stylus illuminator is also a fun new innovation. Actual Shipping Weight 32 lbs.